Operating a food truck can sometimes mean operating a thin margin line where every dollar counts. 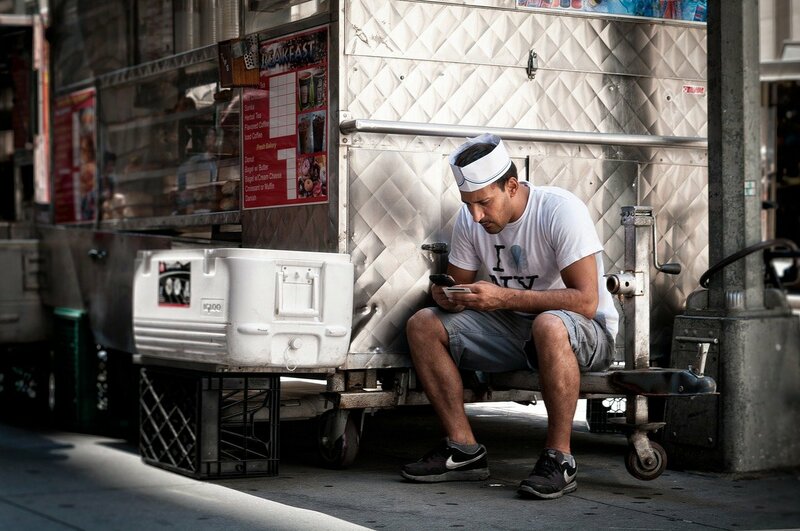 Many food truck owners don’t have much time or patience to deal with insurance. You’re busy trying to run your business and manage your team. Many food truck owners don’t realize commercial insurance rates can often be negotiated depending on the risk. Here are five quick ways you can possibly reduce your insurance premium and put more money in your pocket. 5.) Make sure you are qualifying for all eligible discounts. This can be as simple as asking your broker what discounts are available. There might be previous experience credit, loss control measures you are taking to reduce claims, employee background checks or hiring practices, or any number of ways to potentially reduce your insurance. Ask your broker and you may be surprised at the discounts you could be eligible for. 4.) Let your broker/agent know your operation radius and number of stops per day. Your chances of loss increase the more you are on the road and the more stops per day. If you only have one location and rarely drive, you should explain this to your broker as there might be special pricing available. A local truck with a regular routine is a much better risk as compared to a truck that has an erratic schedule and will travel very far to serve. 3.) Show your proof of loss history. If you have been in business for at least one year (or preferably three years) with little to no losses, then be proactive by ordering your loss history from your current carrier and show your good experience to the broker/agent that you are getting a quote from. Most carriers will offer credits or discounts if you can prove your track record is good. 2.) Have photos of the exterior and interior of your truck handy. When shopping your insurance, be sure to provide photos of the interior and exterior of your truck. If you take pride in ownership, it shows in pictures. There are often discretionary discounts available based on the quality of your operations and your truck. They say a picture is worth a thousand words … well, it could be worth a few hundred bucks, too! 1.) Provide a resume or LinkedIn profile link if you are a new venture with plenty of food and/or hospitality experience. New ventures are viewed as a risky business to underwriters. If you can show you have managed a restaurant or have extensive food preparation experience, you may be eligible for discounts. Even if your agent/broker doesn’t ask, you can provide your experience and see if it helps. These are some ways to potentially reduce your insurance costs. Every operation is different and deserves a close look. At Insure My Food Truck, we will help you find eligible discounts and make sure you are getting the best insurance bang for your buck. If you have questions about food truck insurance, discounts or anything else, please feel free to reach out! Pat Flynn lost his dream job as a San Francisco architect in June 2008. Facing unemployment in the midst of an economic crisis, Pat was scared and confused about his professional future. Before being let go, and while studying for an industry certification, Pat unintentionally created a popular blog filled with notes and exam preparation tools. Now that he was unemployed and looking down the entrepreneurial path, he wondered if he could turn his blog into a business. Pat decided to take a risk; he would try working for himself. This early project seeded the foundation for Pat’s success as an online entrepreneur. Today, he runs a popular website and podcast at SmartPassiveIncome.com, speaks at conferences, and has authored a personal memoir that tells the story of how he persevered through adversity to achieve success in his business and his life. He’s also the founder of FoodTruckr.com, which you can learn more about by reading Pat’s story. Whether you were recently laid off or you’re simply looking for a career that will bring independence and purpose to your life, it’s time to embrace the unknown and make your own path. There’s no way to predict whether or not your food truck will succeed. You’re entering a competitive field, and life as an entrepreneur requires discipline, dedication, and a healthy dose of hard work. But as Pat Flynn’s story proves, great success can be born from adversity. Seize the chance to succeed on your own and give this opportunity your all. As the author of 14 best-selling books and the founder of Yoyodyne and Squidoo, Seth Godin is one of today’s most acclaimed marketers and innovators. People turn to his blog and books for all kinds of advice, but many of them are looking to learn about one of Seth’s greatest areas of expertise: shipping. Shipping refers to more than the logistical process of sending something from point A to point B. It encompasses the idea that completion and delivery are the most important parts of the creative process. The philosophy is generally believed to come from something Steve Jobs once said—“Real artists ship”—but Seth popularized the idea for modern entrepreneurs, emphasizing the importance of actualizing your great ideas into something tangible and real. It’s fine to obsess over the details of your project, but at some point, you have to declare your work completed and ship it to your customers. Always offer your best, but don’t let perfectionism get in the way of progress. Figure out what is most essential to starting your business and set out to accomplish those things. As a food truck owner, you’ll at least need a truck, the proper licenses and health certifications, a basic menu, and a cash register. The extras can be added on later once you’ve got some business in the door. In last week’s “How to Run a Food Truck” lesson, we helped you write the recipe for future success by examining a popular goal-setting approach and providing you with 30 questions you should ask yourself to determine what you want out of your business. Though we’re sure that our readers had all kinds of different answers, we’re willing to bet that many of you probably identified events, catering, or an expansion as the next logical step in your truck’s progression—so those are the topics we’ll be covering for the next few weeks! Today, we’ll be talking about everything that food truck owners who want to get into events need to consider. Serving at festivals and events can be a very lucrative way to expand your food truck’s profits and potential fanbase, so they’re a great option for any FoodTruckr who wants to grow his or her business. Let’s start out by learning how to find the best events for your truck and looking at what it takes to get your truck’s application accepted by an event planner. In the last “How to Run a Food Truck” lesson, we explored the potential opportunities open to FoodTruckrs who are interested in expanding their businesses to include events. Today, we’ll tackle a similar topic as we look at the best ways to get into catering services. Catering and events are both incredibly effective ways for food truck owners to sustain their businesses—particularly in the off-season and during slow months on the streets. The catering industry can be a competitive place, so it’s important to think carefully about where your truck can fit into the market. You also need to make sure your services are set up in a professional manner before you begin trying to attract clients. In this lesson, we’ll discuss the basics you need to know before getting started, how to choose the best events for your truck, and the most effective ways to advertise your services. You found me! My name is Denny Christner, founder of INSURE MY FOOD TRUCK (www.insuremyfoodtruck.com). Although I have been in insurance for 15 years, I'm nacho typical insurance agent. I focus on food businesses including mobile food vendors, caterers, restaurants and artisan food manufacturers. I LOVE food and the food community. Life is too short to not be passionate about life and your career! That's why you do what you do, right? My goal is to help protect, promote and grow your mobile food business. When not working tirelessly on protecting the food community I can be found enjoying the beautiful Bay Area with my family. See you in the streets!